Andrew Schneider is a guitarist, singer and songwriter. He has been teaching guitar for over 15 years. Andrew teaches a variety of styles including folk, country, blues, rock, pop, ragtime, bluegrass and jazz. In addition to a background in music theory, he studied the fundamentals of jazz improvisation at Syracuse University. His experiences include touring with multiple bands, opening for the Farmgrass music festival and performing live on TV. He has an adaptive teaching style that builds from the natural strengths of each student. 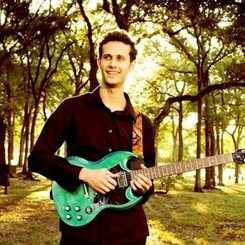 Currently, he has a lively career teaching and performing music in Austin Texas.